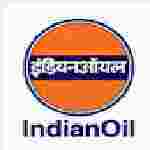 IOCL Assistant recruitment 2016-17 notification apply for 20 vacancies : Indian Oil Corporation Limited (IOCL) welcomes application for the position of 20 engineering assistant, junior accounts Assistant, junior office assistant, technical assistant in Paradip Raipur Ranchi. Candidates who completed their ITI, diploma, degree in commerce, degree, matric is a good opportunity.The individuals who are the occupation seekers searching for govt employments in India this is the best chance to apply. Competitors read the official notification then read all the guidelines and miners precisely then apply before the last date online application got. All the interested and eligible candidates can apply before 25th July 2016. Candidates Age Limit: The age of the candidate should not be less than 18 years and should not be more than 26 years. The age of the applicant should be as on 25th June 2016. Academic qualification details: Candidates should have three year (or two year through Lateral entry after ITI of minimum one year duration) full time diploma in electronics and communication engineering / electronics & Telecommunication engineering / electronics & radio communication engineering / instrumentation & Control engineering / instrumentation & Process control engineering / electronics engineering / electrical engineering / electrical & Electronics engineering / Mechanical engineering / automobile engineering from a government recognized institute. Academic qualification details: Candidates should have full time bachelor degree from a government recognized institute / university in Humanities / science / commerce / management / journalism / mass communication / computer application. Details of Fee particulars: All the interested and eligible candidates are need to pay Rs. 100/- through Demand Draft in favor of Indian oil Corporation limited payable at State bank of India, Bhubaneswar main branch Odisha. Process of applying for the job: All the interested and eligible candidates may apply in prescribed application form along with recent passport size photograph affixed at the space provided / attested copies of all the certificates and original certificates / demand draft send to the senior human resource manager, Indian oil corporation limited (Pilelines division), post box no 96, Bhubaneswar:- 751001, Odisha on or before 25th July 2016. Important Dates: All the interested and eligible candidates can apply before 25th July 2016.